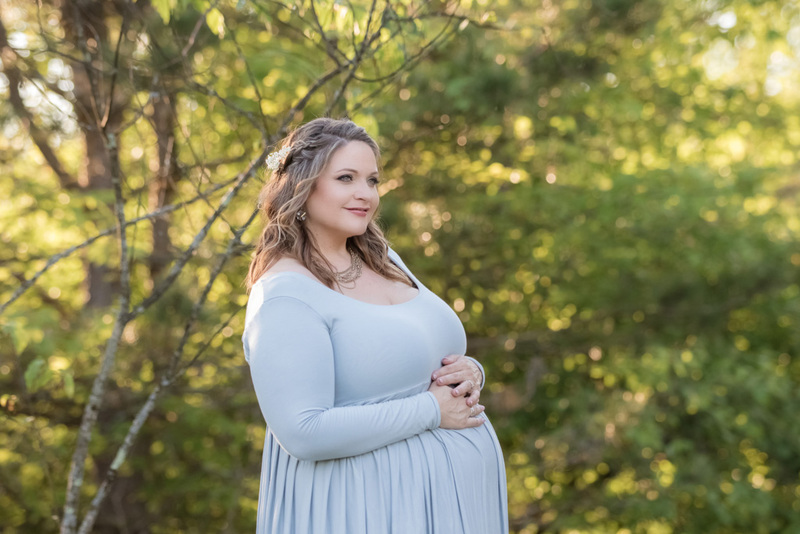 This past summer I had the opportunity to join some amazing photographers for this styled outdoor maternity session just outside of Pittsburgh. My great friend Heather Lahtinen from Weddings by Heather and The Flourish Academy hosts a monthly camera club for local photographers. It’s a great opportunity to learn and build my portfolio. Our beautiful mama-to-be, Soozie, is also a local photographer and contributor to The Flourish Academy. The setting was just perfect. The wide open field, the dirt path with hints of light and the pond provided some stunning backdrops for the session. The evening light was unbelievable. Soozie’s simple yet beautiful dress photographed so well. 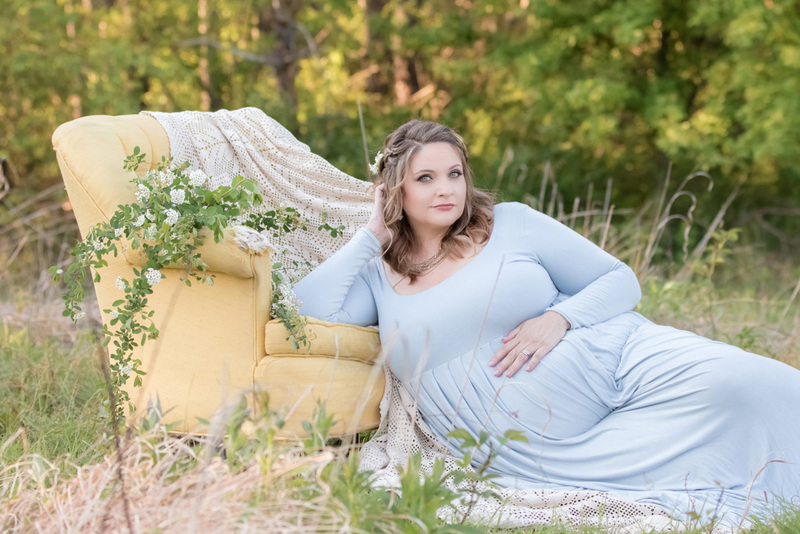 Long, flowing dresses are the perfect choice for maternity sessions. The touch of lfowers in her hair finished off her gorgeous look. Simple yet so gorgeous. These images are timeless and classic. I learned so much that evening and walked away with some beautiful images for my portfolio. As a mother of 4, I know we don’t always feel beautiful or glamorous while pregnant. But, pregnancy is such a special, beautiful part of life. It’s amazing what our bodies can do in the creation of this tiny being to nourish and support them before they enter this big, new world. It’s a fleeting moment in life that deserves to be documented. It’s an important part of your life story as well as the beginning of your child’s story. Cherish it and capture it. Are you expecting? It’s never too soon to start planning your session. Let’s get in touch so that I can help to document this momentous life event for you and your family. Check out my gallery to see more images! Know someone who is expecting? Share this page with them!